I spent one afternoon taking pictures of the mice colony resident in between the rails in the Oxford Circus Tube Station, in London. 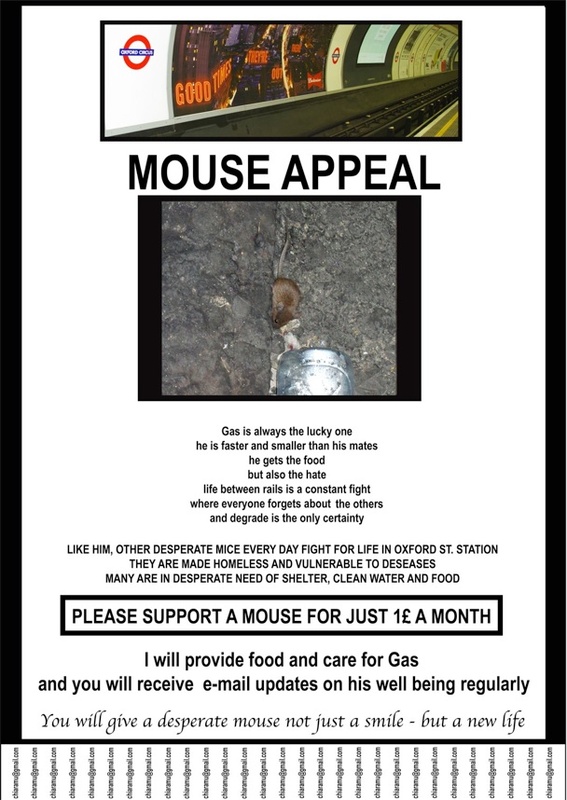 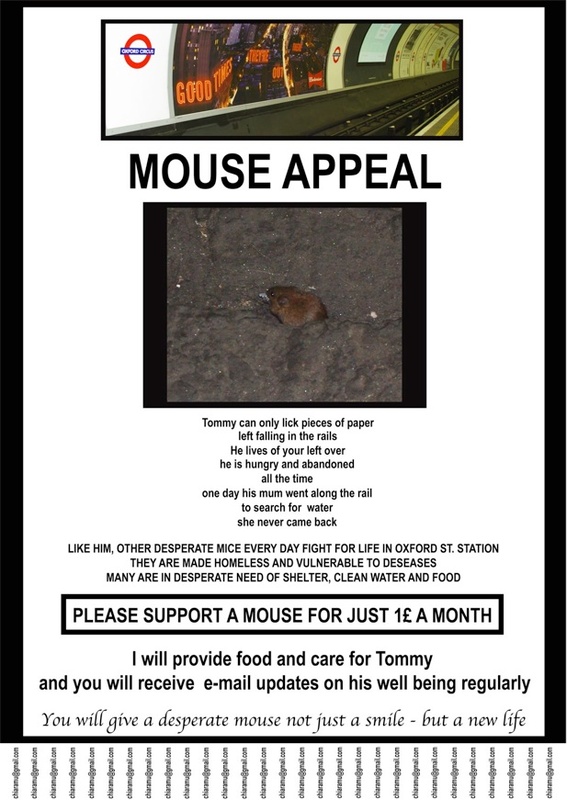 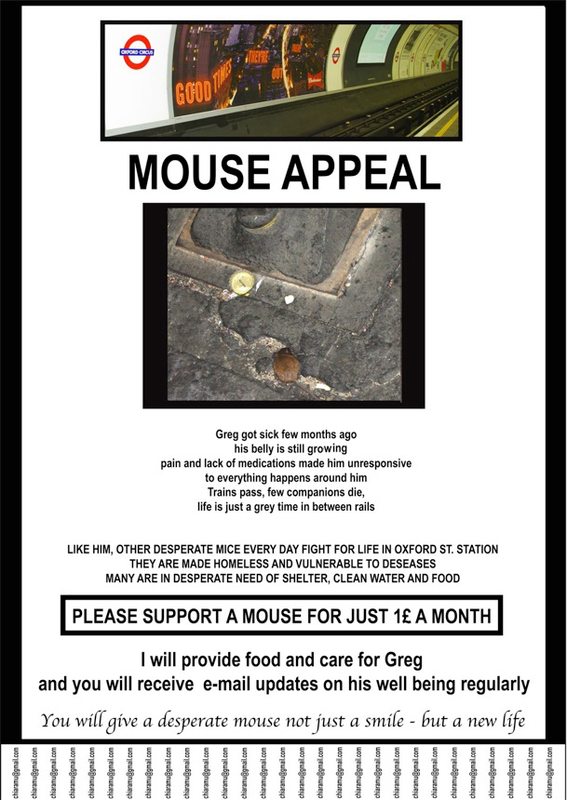 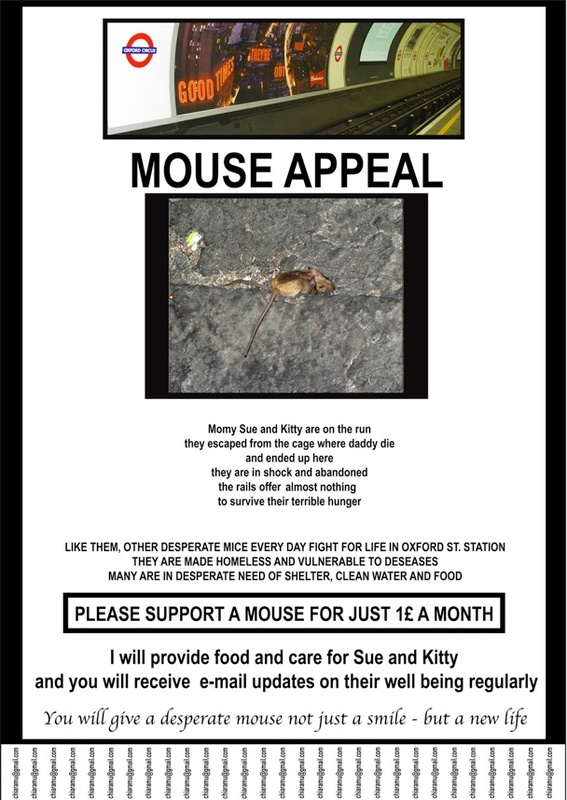 Then I produced and printed 8 A3 posters for each of the mice, taking inspiration from the junk TV advertising that asks for money in order to help abandoned pets and children. 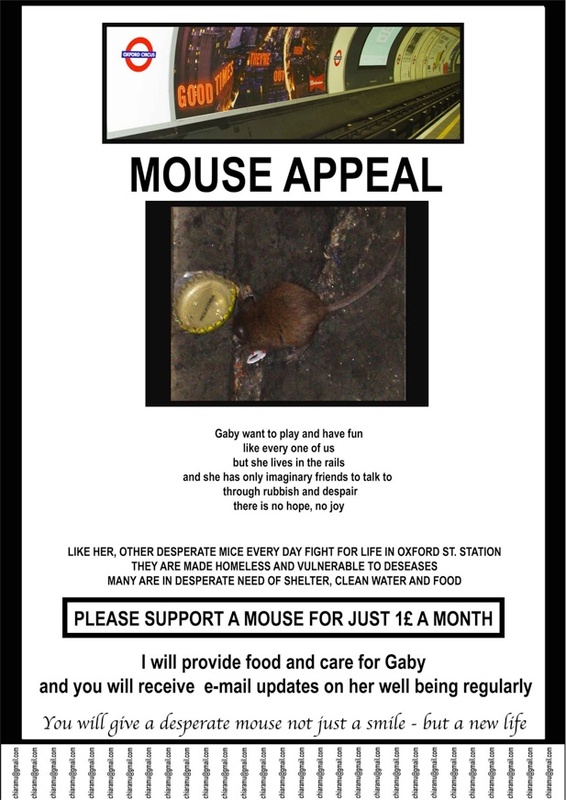 I offered to take care of the mice through a very convenient and cheap subscription, unfortunately I did not receive any.